The Insteon Ceiling Fan and Light Controller, unlike most competing products that usually control just the fan, can give you individual control of both your ceiling fan and its lighting. Insteon’s Dual-Band communications technology (Powerline + RF) means that signals have no problem being sent to and from the controller installed inside the fan’s ceiling canopy. On the fan side, you’ll get the three usual speeds of low, medium and high, and on the lighting side you’ll be able to dim and brighten the fan’s lights precisely. Insteon’s legendary dimming technology gives you smooth and exact control of lighting, and you can create beautiful, dramatic scene changes with customizable fade rates from a few seconds to nearly ten minutes. This versatile Insteon module works with virtually any Insteon-compatible controller. With one of Insteon’s own hubs, you can extend control to HomeKit or Amazon’s Alexa ecosystem. If you’re “all-in” on Insteon, pairing your newly-controllable fan with a KeypadLinc controller for physical-button control can complete the “home automation trifecta” of control via real-life buttons, apps and voice. But the real promise of home automation is not necessarily just pressing buttons to make things happen, but the objects themselves reacting to their environment, either directly or with a little help. In the video, Joe Dugandzic demonstrates how to enable automatic fan speed control via temperature sensors, with everything being tied together with HomeKit. Now, while our system is a bit more customized than most, the basic principles apply: the ceiling fan controller sets itself to one of two speeds (or off) depending on a range of air temperatures in the room based on temperature sensor(s). 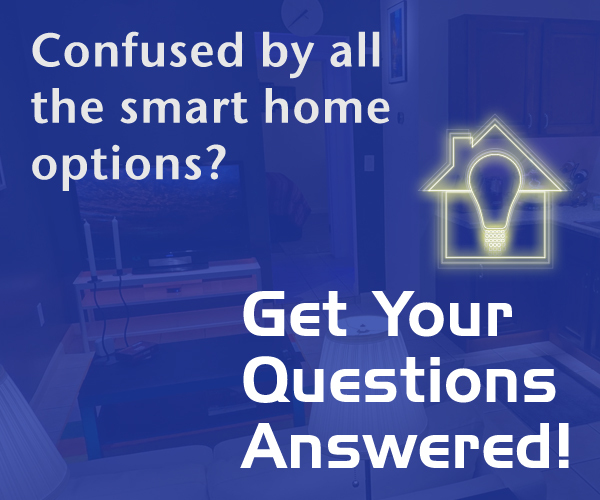 Even if you’re using a different home automation system, the same outcome can be achieved. The Insteon ceiling fan and light controller can work with fans with motors up to 1 amp, and up to 300 watts of lighting. The official specs say incandescent ligting only, but it appears to work well with mulitple types of LED lighting as well. Buy this Insteon module today @ Amazon and help support the show. New to Insteon? Try a starter kit! Disclosure: Smarter Home Life received the Insteon ceiling fan / light module at no cost for testing and review purposes.